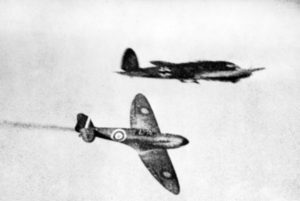 Spitfire and He 111 during Battle of Britain 1940. Image from Wikimedia Commons. However, Gallagher also notes (and is echoed by many others, including Nancie Atwell, Penny Kittle, Donald Graves, and Lucy Calkins) that when it comes to student writing, we can’t just hand students a mentor text and expect them to know how best to imitate it. We have to guide them through the process of analyzing those texts multiple times if we want to see the true power that they can have. After reading Gallagher’s article for the first time, I sat back in my chair and let his words marinate. As a fledgling teacher, I was intrigued by the concept of mentor texts. I wanted to start using them with my students; but, I faced an issue that, at the time, I wasn’t sure how to solve: where were they going to come from? Our department had recently gone through a massive curricular overhaul, and with it, the writing pieces changed. Therefore, I had no student samples to use for mentor texts. I went to Google, and while this yielded some success, most of what I found was either too long, too arduous, or would not be, in my opinion, engaging to my students. So, I perceived only two options: keep looking or go without them. I had reached the point of frustration with the first option, and I didn’t want to settle for the second. And then, at a point of near defeat, a thought appeared. What if I wrote my own mentor texts? Now, this is not a new idea; there are numerous influential writing teachers who have done the same. 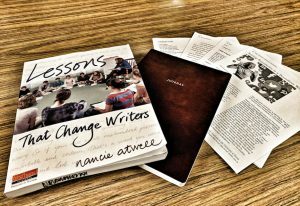 In Lessons That Change Writers, for example, Nancie Atwell includes some of her own written pieces that she shares with her students. But, she’s Nancie Atwell, a world-renowned author of numerous books dedicated to teaching and the 2015 recipient of the Global Teacher Prize for her authorship, scholarship, and her absolute dedication to helping students see themselves as real readers and writers. My question was, could I do this? Could I pull off “good” examples of what I wanted my students to write? And, what would happen if I did and my students tore them apart? What then? This all came from a place of insecurity. But, writing is a passion of mine. I may not be published on bookstore shelves, but I’ve amassed a small trove of my own pieces that I’m proud of, taking lessons from books like Stephen King’s On Writing, Anne Lamott’s Bird by Bird, and Orson Scott Card’s How to Write Science Fiction and Fantasy. With that in mind, I made the choice to cast doubt aside and leave it well behind. The first mentor text I wrote was a free verse poem entitled “Carpenter Creek.” My eighth graders were writing free verse, and while I actually had many mentor texts of published free verse poetry, I decided to write my own poem to help facilitate a mini-lesson on figurative language. From there, I wrote an informational essay, a short memoir, and an advocacy journalism piece. Each time I sat down to write, I considered what things I wanted my students to master, and I made sure to incorporate them into my writing. For each piece, I kept copies of my brainstorming, drafting, and revising. Then, when we would begin a new writing unit, I would show my students the mentor text I had written, and we’d analyze it for its written elements. From there, I went back and conducted minilessons where I showed students effective ways to craft each piece from beginning to finish, using my own writing as the backdrop for the conversation. For me and my students, it has been an eye-opening shift. When I share my writing with them, they’re asking questions like, “Why did you choose this topic?” or “Why did you make this sentence its own line?” I’m always intentional about responding with, “Why do you think I did it this way?” to promote analysis and discussion, but once opinions have been heard, I can now do something I was not able to before: I can tell students about my thinking behind a particular writerly move. That’s powerful. When we examined mentor texts from other authors, we had to speculate why another author wrote the way they did, and we did not receive the benefit of their explanations. In some cases, that is sufficient, but my students are appreciating the clarity of the conversation. Not only that, but I’ve noticed a positive shift towards student-engagement. I approach teaching by mentally positioning myself as a learner in my own classroom. I ask, “Is this something I could be excited about doing?” By creating my own mentor texts, I’m able to share my own passion for writing and lead my students by example; I can show them that while writing is a process and is more work than most people realize, it’s also extremely rewarding and worthy of the investments of time and effort. And in ever-increasing instances, it’s wearing off on them. 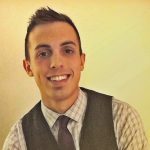 Looking back at Gallagher’s article, he says, “[m]entor texts are most powerful when students frequently revisit them … and when teachers help them take lessons from writing exemplars.” How powerful would it be to take students through the writing lessons and discuss exemplars that you wrote? How powerful would it be to have you, the author, explain those exemplars and answer any analytic student-driven questions with immediacy and certainty? How powerful would it be to connect with a student through writing because you were willing to compose right along with them? How powerful would it be to write your own mentor texts for your students? Atwell, Nancie. Lessons That Change Writers. Portsmouth, Heinemann, 2007. Card, Orson S. How to Write Science Fiction and Fantasy. Cincinnati, Writer’s Digest Books, 1990. Gallagher, Kelly. “Making the Most of Mentor Texts.” ascd.org, ASCD, Apr. 2014. Accessed 17 Dec. 2017. King, Stephen. On Writing: A Memoir of the Craft. 10th Anniversary Edition, New York, Scribner, 2010. Kittle, Penny, and Donald H. Graves. Inside Writing: How to Teach the Details of the Craft. Portsmouth, Heinemann, 2005. Lamott, Anne. Bird by Bird: Some Instructions on Writing and Life. New York, Anchor Books, 1995. Rebora, Anthony. “Remodeling the Workshop: Lucy Calkins on Writing Instruction Today.” Education Week, Editorial Projects in Education, 20 June 2016, Accessed 6 Jan. 2018. Ian Wolf is an English teacher at Cadillac Junior High School where he teaches seventh- and eighth-grade language arts. He’s currently enjoying his involvement in a year-long NWP institute and embracing its ideal that writing teachers should be writers. This entry was posted in Reflections and tagged mentor texts, Teaching Strategies, writing, Writing Instruction. Bookmark the permalink.